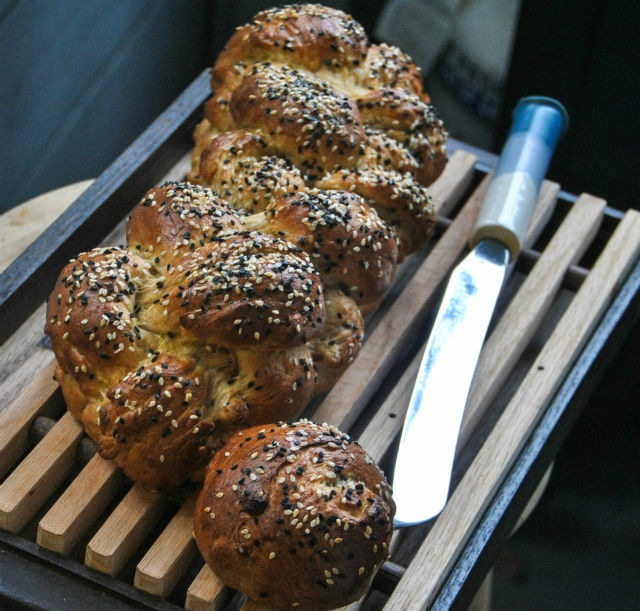 When my husband and I first got married and we started to host Shabbat dinner I was determined to make my own challah. 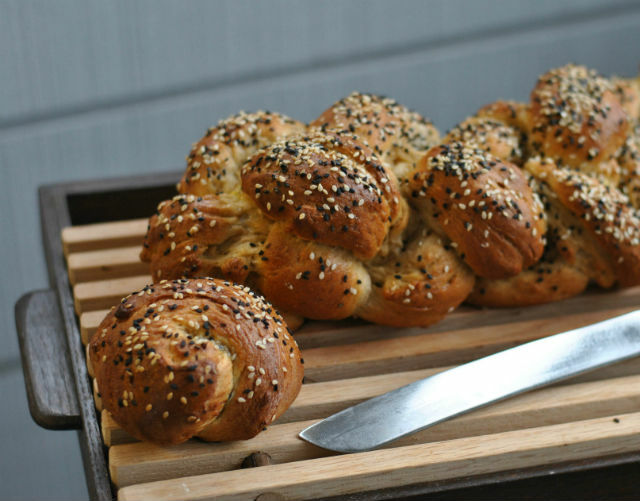 My mom made homemade challah each week and I wanted to do the same for my husband, for our guests and, most importantly, for myself. It felt like a rite of passage in becoming an adult and wife. I am going to tell you about my recipe, but I have a confession to make: I make challah every week but I let my beloved bread maker do the hard work for me. My bread maker kneads the dough while I am at work. I come home, braid the challah, add any of Shannon’s amazing fillings (my favorite is the balsamic apple and date), and pop it in the oven. My bread machine allows me to make homemade challah every week without stressing about the timing while I am at work. This recipe came from my mom and I have updated it over the years. It’s delicious and easy, But you don’t have to tell anyone else the secret. Place all the ingredients into machine in order listed and set machine on “dough” setting. Let sit in machine 60-90 minutes after the machine has completed its cycle. Remove dough. Cover with a damp cloth. Let rise for another 30 minutes. Braid dough into desired shape. Beat remaining egg with 1 tsp water in a small bowl. Brush liberally over challah. Sprinkle with sesame seeds or the topping of your choice. Bake at 350 degrees about 30 minutes. After the challah has baked for 15 minutes do a second brush with the reserved egg mix – this gives the challah a beautiful, shiny gloss.